Plant Something! Plant Maine! | Gardening, Landscaping & Horticulture | Plant Something Maine is putting down roots in our neighborhoods, homes, businesses, and communities. 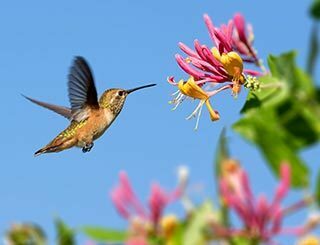 Start here for inspiration, videos, events, planting basics, advice from experts, and resources for buying plants and supplies. Don’t just stand there – Plant Something! Plant Maine! It's Simpler Than You Think! Don’t Just Stand There — Plant Something! In Maine, We’re Getting Our Hands Dirty & Putting Down Roots. In our state and across the country, the number of new gardeners is growing. Why have so many Mainers embraced a growing movement? 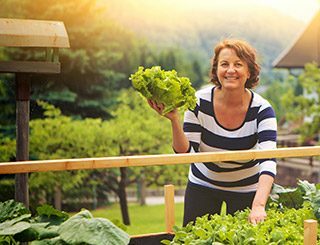 It’s simple: just by planting something you can improve your quality of life. For kids, learning about horticulture is tied to a variety of learning achievements, life skills, and well-being. Planting gives kids a sense of pride and a connection to the world around them, and it’s a great reason to get outside and be more active. What are you waiting for? It’s easier than you think to make major changes in your quality of life and the lives of those around you just by planting something. Don’t just stand there – Plant Something! Plant Maine! Find a local garden center or landscaper! Watch for our latest TV Spots! When we plant vegetables we benefit from good, healthy food. But planting anything, from herbs to shrubs means we're getting outside, increasing our heart rate. And, time spent in the outdoors is tied to better mental health as well. 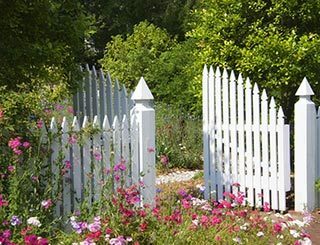 Improve property value, add instant curb appeal to your home, your block, your neighborhood, and your town. Trees and shrubs are nature's janitor. They remove carbon dioxide from the air, counteract car emissions and decrease pollutants and that's just for starters. When we plant something, we're spending time with family, meeting at community gardens, and engaging with our kids. 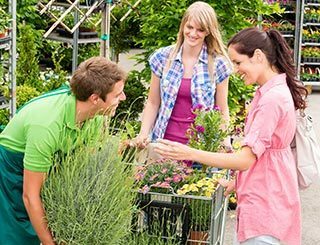 We're also connecting with gardening experts, landscapers and local garden center staff that have advice, tips videos and inspirational ideas.